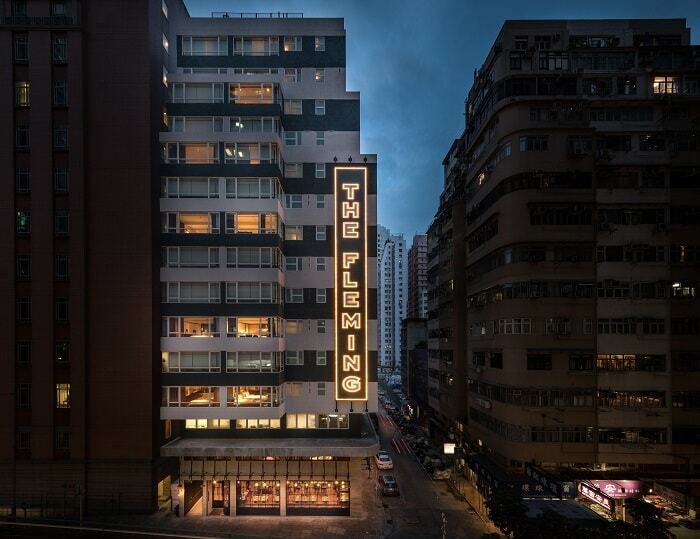 The Fleming, the newly-opened urban boutique hotel in Hong Kong’s vibrant Wan Chai district, is collaborating with the acclaimed restaurant and lounge CÉ LA VI, located in the heart of the city’s other famous nightlife district Lan Kwai Fong, for the ultimate Hong Kong stay and dine experience this winter. The City Escape: Winter Edition Package offers spacious accommodation, including a complimentary upgrade (subject to availability) as well as a late-checkout at the luxury boutique hotel which has just reopened following a total makeover. The experience also includes The Fleming’s signature perks of free Wi-Fi, apple TV and complimentary use of a Handy Device. Exclusive perks include complimentary seasonal welcome drinks and a continental breakfast of fresh fruit, cereals, juices, cold-cuts, cheese and homemade pasties at the hotel’s dining concept, Osteria Marzia. Not only that, but guests can also head over to CÉ LA VI, where they will receive benefits exclusive to The Fleming. 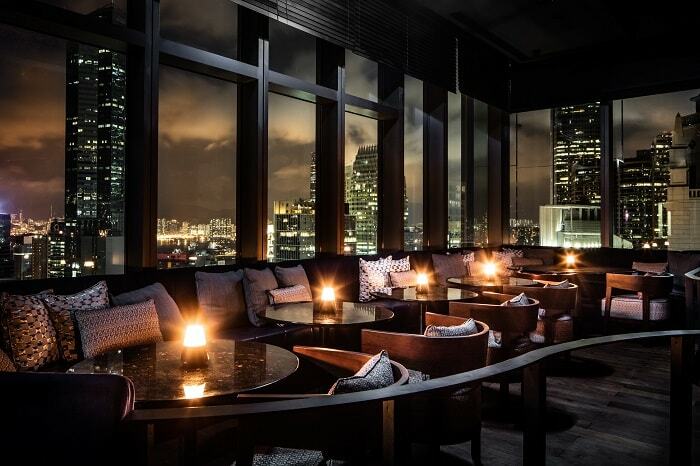 When dining on the restaurant’s modern Asian cuisine tasting menu while watching stunning views of HongKong’s iconic skyline, they will be served complimentary Veuve Cliquot Champagne. 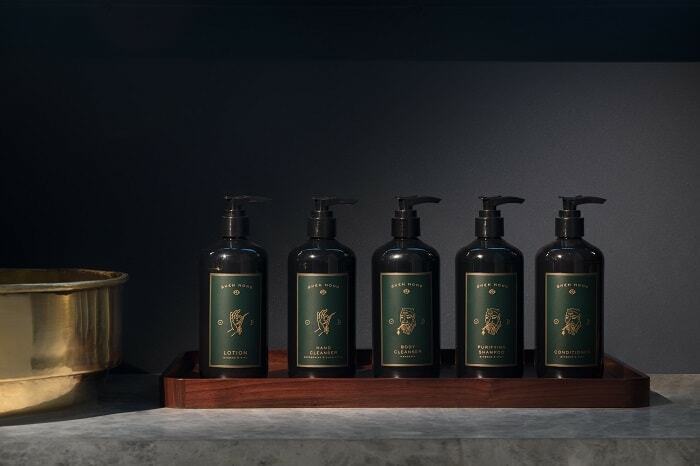 After their stay, guests will also be able to nurture their skin with a take home set of the hotel’s bespoke bathroom amenities line; ‘Shen Nong’. Ideal for starting the morning off with a fresh start, ‘Shen Nong’ has been tailor-made based on the principles of Chinese apothecary. From now until 28 February 2018, the packages are available for the categories of small, medium and large sized rooms, starting from HKD 1,988 + 10% service charge per night. The Fleming is centrally located, just minutes away from the Wan Chai MTR, Ferry Pier and Hong Kong Convention and Exhibition Centre. The hotel is within a 40 minutes’ drive to the Hong Kong International airport. 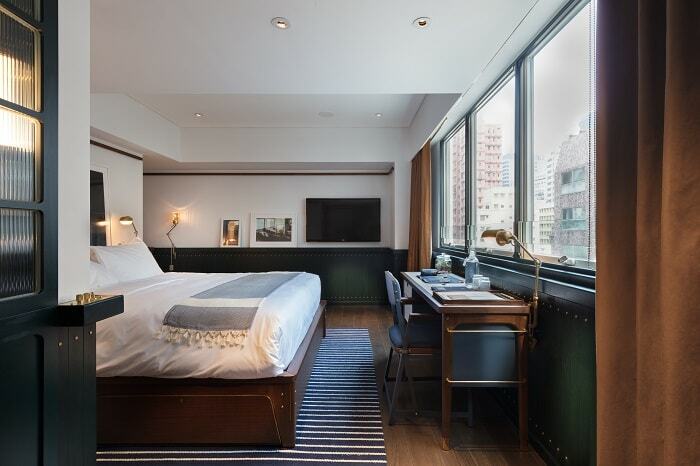 The Fleming is a 66-room boutique hotel located in the vibrant neighborhood of Wan Chai, Hong Kong. The hotel underwent a full renovation and reopened with a brand new identity in October 2017. The Fleming embraces nuances from Hong Kong’s eclectic heritage with the design drawing inspiration from the city’s cross-harbour ferries. Located on a lively, side-street in the heart of Wan Chai the hotel is within a few minutes’ walk to the Hong Kong Convention & Exhibition Centre, Wan Chai MTR Station, shopping, nightlife and a thriving dining scene is on its doorstep. This is a sign! You are sharing so much about Hong Kong, and yet I am yearning to be there. 2018 plan? I hope so! Hahahaha sorry babe, but Hong Kong is waiting for you! Love to reas about your staycation. is all about honest and sincere.. OMG!! This hotel is totally my type!! Look very sophisticated & cozy at the same time. I agree. Even my Amore likes it here. What a great hotel accommodation. It looks like a perfect for relaxing and to unwind. The peaceful ambiance of this hotel is so fulfilling. I am sure you really enjoy your stay there in The Fleming. 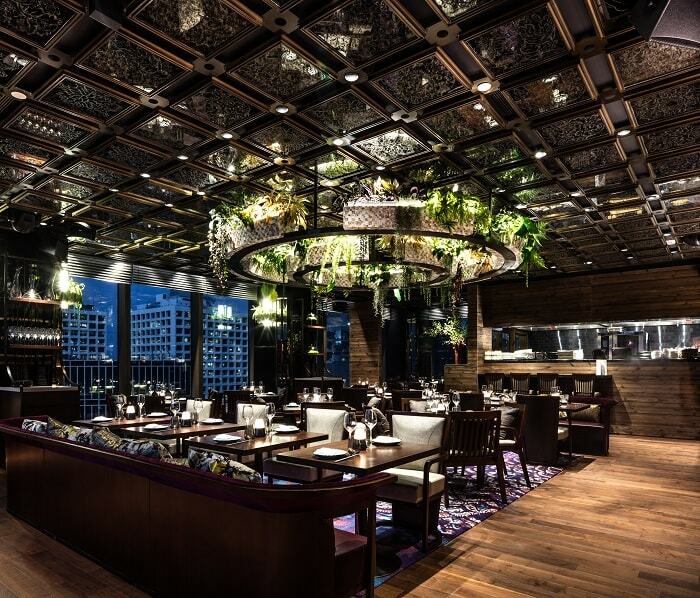 I used to live in Wan Chai and this looks absolutely stunning! The rooms, the restaurant and the views are just incredible. Would love to check it out on my next trip back to Hong Kong! Hope you can visit Hong Kong, and I bet you'll love the city! Maybe places to enjoy and the foods are amazing as well. You will be so relax and enjoy it with your hubby! This place sounds so perfect for a luxury vacation. Would certainly recommend to a friend who is visiting Hong Kong. lovely. the hotel looks stunning for a luxury tour. Hongkong is definitely in my bucket list. if I could ever visit, would surely try to be here. You will definitely enjoy Hong Kong! Life only happened once in a lifetime, so better enjoy it! Hahaha so true! I am also guilty of those hotel toiletries. Must be luxurious! 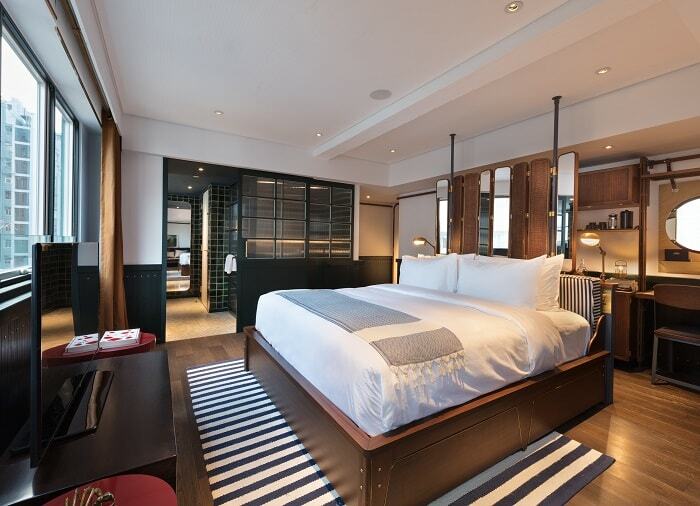 Looks like an amazing halt option and I am bookmarking your site to keep this place in mind when I travel to HK..
Its interesting how a staycation manages to win some charm amdist the chaos. This part of travel is to cut out the external world and puts focus on on a closed world within which you stay and relax. The more stressed our lives are the more such staycation packages would be meaningful for temporary breathers. I noticed that as well. And the more stressful we are, the more we are willing to pay high price for relaxation. Good business! Okay, this place looks like the ultimate getaway in any type of season!! The luxury of this place, from the beds to the eating area to even the toiletries they provide. I wouldn't mind spending even a week here! Absolutely a grand staycation in Hong Kong!